Repaint of Transmetal Inerno...um I mean Scavenger. Blah blah blah Quantum surge. Blah blah blah Meched Out blah blah. On Cybertron Eclipse was a student at the Grapple memorial engineering college. She signed on to the Axalon's mission in the hopes of building new Maximal colonies on distant worlds. Events however have forced her into the role of a warrior, a role that many transformers would rather she didn't have, Maximal or Predacon. Eclipse possesses the highest amount of sheer firepower of any current transformer; first she has her two handheld (yes, she has hands.) quad machine guns, she also has two arm mounted gatling guns (her hand units are modular) two forearm mounted photon cannons (her antenna), and each of her ant legs mounts a laser cannon on it's tip. 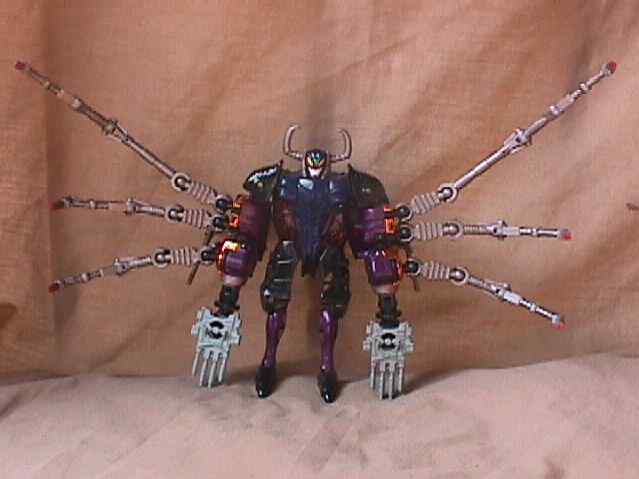 These weapons can allow her to lay down a devastating amount of firepower, however she is not exactly the best tactician in the world and has a tendency to simply point herself in the direction of the enemy and fire till she's out of ammo, which can leave her in a bad position if the Predacons had a chance to duck. In vehicle mode she is a fast moving assault tank which mounts her gatling guns and photon cannons. 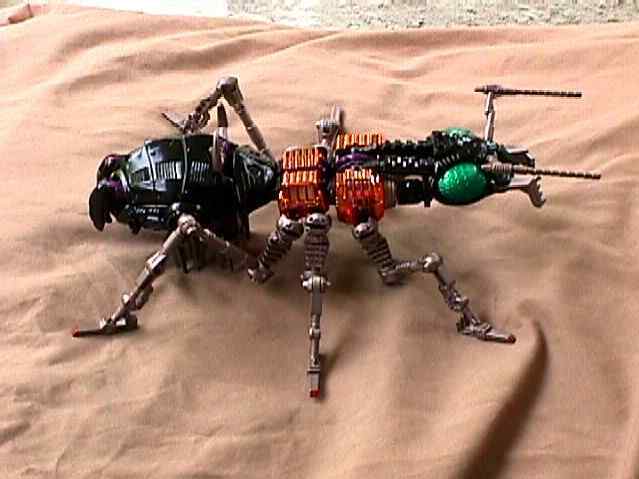 Her ant mode can climb almost any surface and chemical analyzers allow her to home in on materials needed for the Maximal cause.